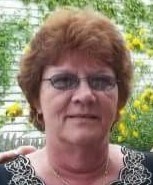 Green Island - Denise C. Homsey-Jeske, 68, passed away on Tuesday, September 4, 2018 at Samaritan Hospital in Troy. Denise was born on November 16, 1949 in Troy and was the daughter of the late Michael J. and Jane T. (Jones) Homsey. She was a Fingerprint Examiner II for DCJS for 16 years before retiring. She had also worked as a waitress at Menands Diner for many years. She enjoyed the people and the pace while working at the diner. She was an avid bingo player and loved her pets, especially, Dolly and Fat Cat. She was one to never argue with. Denise is survived by her husband, Michael J. Jeske; her children, Michael Patalino and Christine (Duna Franco) Patalino; her loving grandchildren who meant the world to her, Jessicia (George) Erfurt, Dominic (Amanda) Patalino and McKenzie Patalino; her great grandchildren, George and Nick Erfurt; her siblings, Sandy, Michael, Bobby and Sharon; her goddaughter, Doreen St. John; and her dear friend, Shirley Wachunas. She shared a significantly unique bond with her brother Bobby. Calling hours will be held on Sunday, September 9th, at New Comer Cremations & Funerals, 181 Troy Schenectady Road, Watervliet, from 5:00 p.m. to 7:00 p.m. with a service at 6:00 p.m.
Add your memories to the guest book of Denise Homsey-Jeske. My deepest condolences Jess. May she live on in the sounds and smells that remind you of her and in your most precious memories. Saying prayers for you and your family for emotional healing and strength. Sorry for your loss she will be truly missed. We were so very sorry to hear about your Mom’s passing. She was a lovely lady. Denise may you rest in peace knowing you did all you could to make everyone around you enjoy life..bring a brand new dabber as you will enjoy the biggest Bingo hall there is! Prayers go out to the family..she was a wonderful person to work with!! To a wonderful lady who would do anything for anyone! You will be missed dearly. My prayers go out to you and your family. I will never forget the good times we have shared together and yes I'm feeding the squirrels and pigeons for you! RIP my dear friend! Micheal, Chrissy, Jess and family...I am so sorry for your loss. Denise was a beautiful woman inside and out. She loved her family and (for sure) wore her "heart on her sleeve". You will (all) have a special angel watching over you. My thoughts and (sincere) prayers are with you during this difficult time. Chrissy, Mike & family i am so deeply saddened by the passing of your Mom, she was a wonderful mother and raised two beautiful children, we had spent some time together when the kids were young and it was always a happy time because your mom was always happy , she will greatly missed and I know she will always be with all of you in spirit and heart. Sending condolences to all of you and may you R.I.P Denise and say hi to the rest of the family for me, keep dancing in the sky , love & will miss you very much. Chris, Duna,Dom, and McKenzie so sorryto hear about your loss. Denise leaves behind many loving and fond memories for you to hang onto and hold close to your hearts. My thoughts are with you at this time. My condolences to Denise's family. I worked with her for 16 years on the same shift and same department at DCJS. We shared many laughs and family stories. Denise was very proud of her family and she will be greatly missed. Denise you were such a lovely lady... inside and out. I remember our times in Watervliet and the fun we would have..and boy did we. Fly with the angels my dear friend and tell my mom I said hello and miss her so much. Crissy and family... we send our thoughts and loving prayers to you all. God bless you all. Christine and Mike I’m so sorry for you’re loss my thoughts and prayers are with you both and your families I will miss her going to bingo may she RIP fly high with the Angels Denise! Aunt Denise was a wonderful lady we lived around the corner from her and uncle mike and we would walk over to visit aunt Denise loved Kaycee she would always give her a special treat weather it be cookies or some type of candy. She would tell us stories about camp. And the hunny do list she had for uncle mike. You will be missed aunt Denise by all. May you Rest In Peace ?? My condolences to Denise's family. Denise was a long time friend of our family. May she rest in peace.